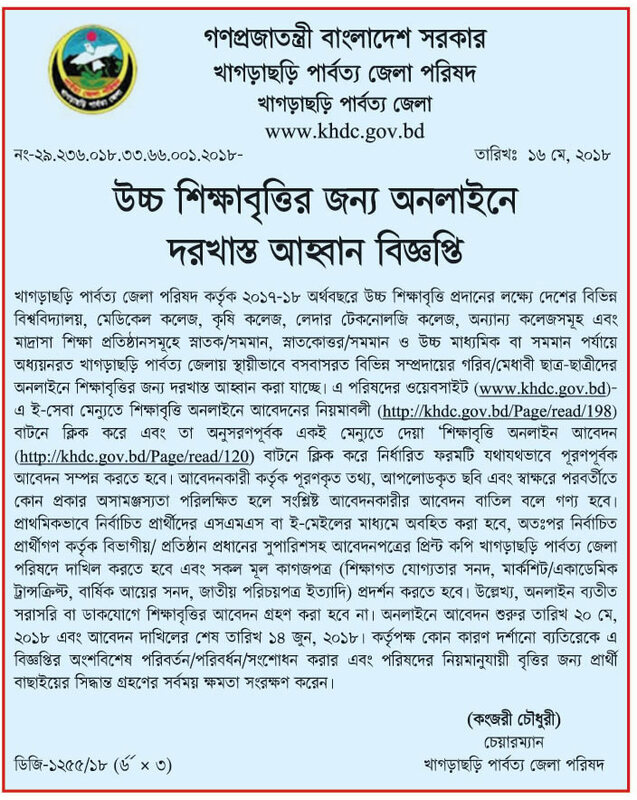 Khagrachari Hill District Council Scholarship 2017-2018 circular has been published. See the scholarship circular and result here. Every year this scholarship has been offered among the poor and meritorious students who are studying at different levels of education. Every interested Hill Tracts resident student can apply for this scholarship. Scholarship application starts on 20 May, 2018.
and ends on 14 June, 2018. Now download the Hill District scholarship circular here.